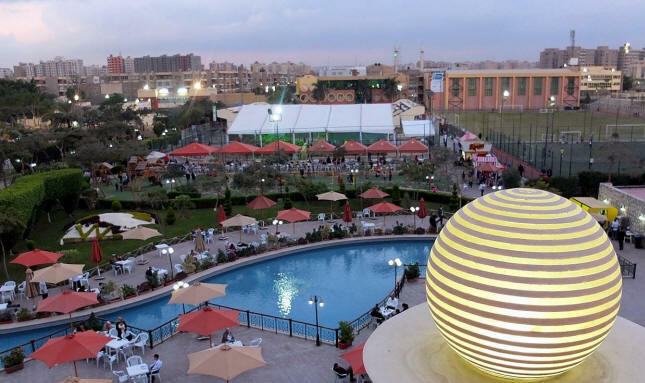 It was the second round of qualifying at Wadi Degla today, and if yesterday was a good one for the young Egyptians - all eight winners were Egyptian, seven of them teenagers - so was today, but then with home interest in 15 of the 16 matches that was always likely! 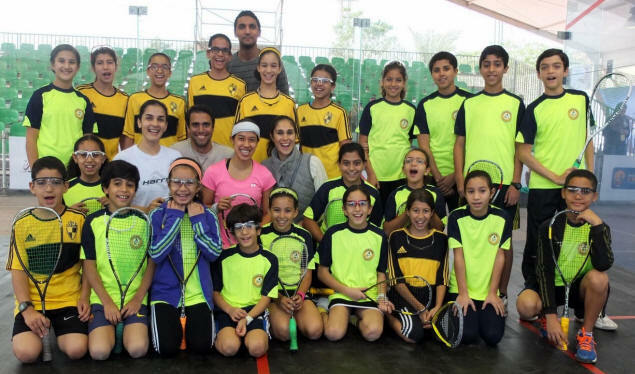 In the event there were seven Egyptian winners, and six of them will play each other in tomorrow's qualifying finals, guaranteeing the hosts at least three more players in the main draw. 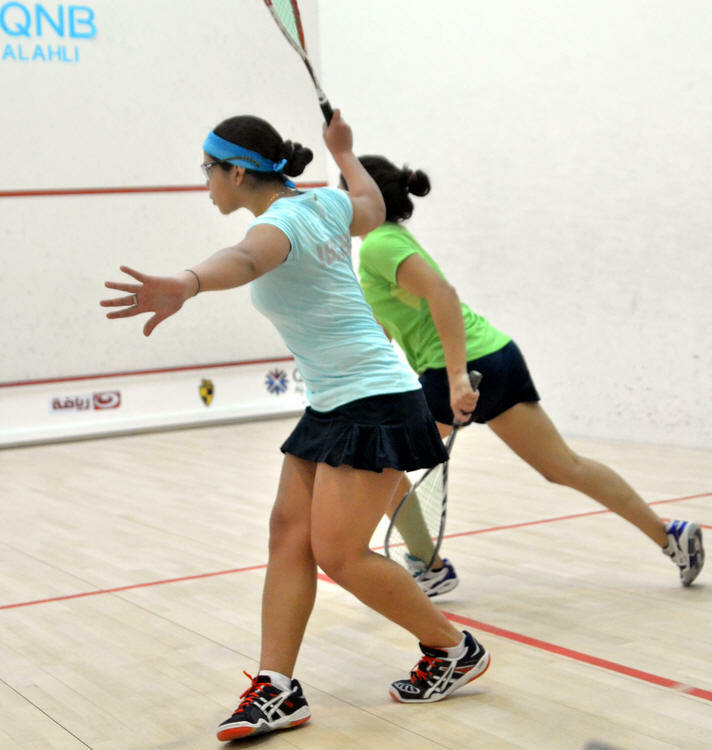 Nadine Shahin and Hania El Hammamy had the two toughest wins of the day, both coming from two games down. 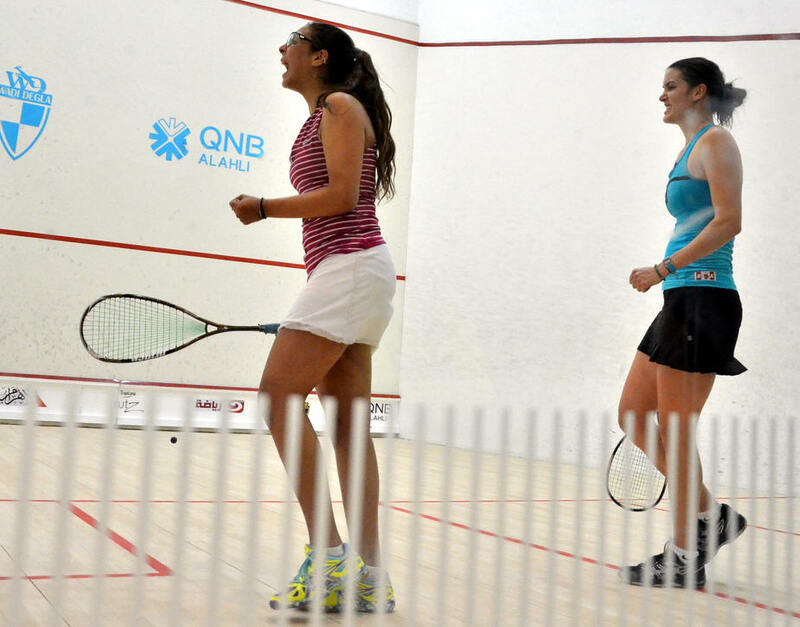 Shahin got the better of fellow-Egyptian Farah Abdel Meguid while Hammamy, the 14-year-old sister of 2013 world junior champion Karim, beat Canada's much higher ranked Sam Cornett in a terrific battle that lasted over an hour. 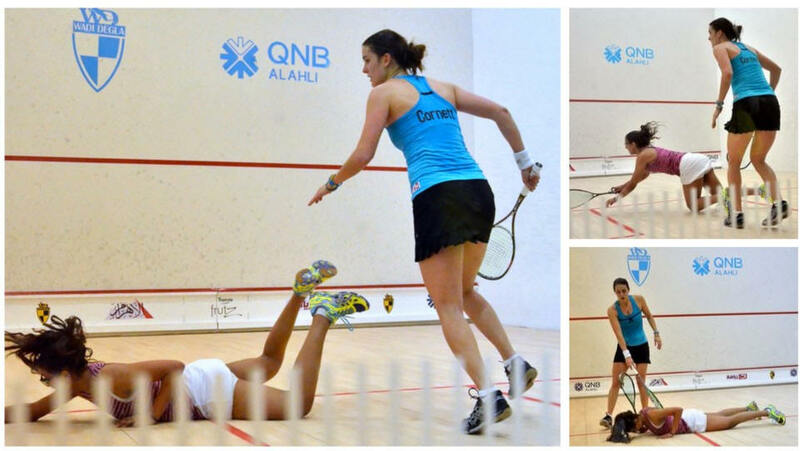 Hammamy took an early lead in the decider but then trailed 7-9. "I was so tired," she said, "I thought I was going to lose but I pushed and pushed and I won!" 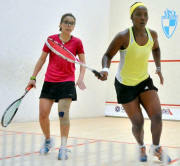 Of the other winners, representing eight nations, the only ones to drop games were both Welsh - Deon Saffery beating Vanessa Raj in five, while Tesni Evans came from a game down to beat 14-year-old Rawan Reda. "I don't want to play her again, she's so good, too good," said Evans. "From the start I was not happy with my performance, I was a bit stressed, this is the worlds, I am in my own country, and she is a good player. I didn’t want to make it too long, I need to keep all my energy for tomorrow’s match against Mariam. So I tried and relaxed as much as I could. In the third, I lost my focus after two decisions that were really bad, but I recovered! 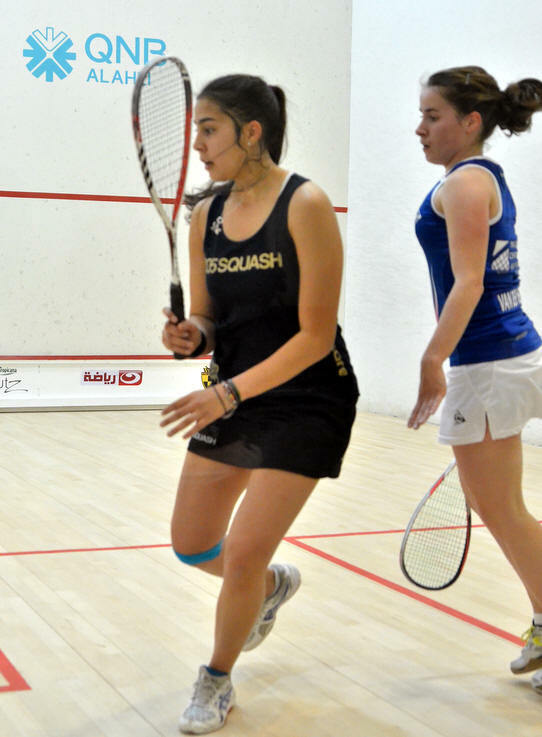 I have a bit of pressure on me because I’m qualifier one, but I tried and not think too much about it, enjoy the moment and play my squash…"
"I am in the heart of my British Junior Open training, I am trying to win the U19 title, and it’s my last year. So I am a bit tired as it’s the middle of the session and I’m working really hard. 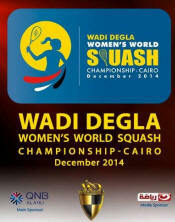 But I want to do well here as well, it’s my first World Champs, it’s in Egypt, so I want to do well. It was my first time playing Milou, and I didn’t expect her to move that fast to the front! She is a good player! 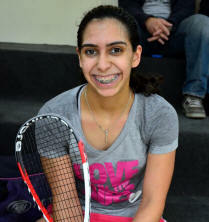 Tomorrow, I’m playing Salma, we played a few times both at the British and in Local tournaments, I think I won most the matches, so I am hoping to play well tomorrow, and I hope to make it to the main draw…"
Quite logically, Salma Hany Ibrahim, 18 who was playing Engy Hammouda (14), and Mariam Metwally, 18, playing Milou van der Heijden, 23, were a bit under pressure when they started the match. 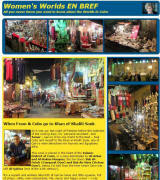 Playing at home, and for most of the Egyptian locals, their first World Champs, was no easy task. As for Mariam against Milou, it was the first time they played, and the Egyptian didn’t expect Milou to run as much and as fast! It was a great match, lots of long rallies, intense and hard hitting, with the Dutch girl forcing a few errors from her opponent, while putting her enough pressure to actually find some lovely drop shots. 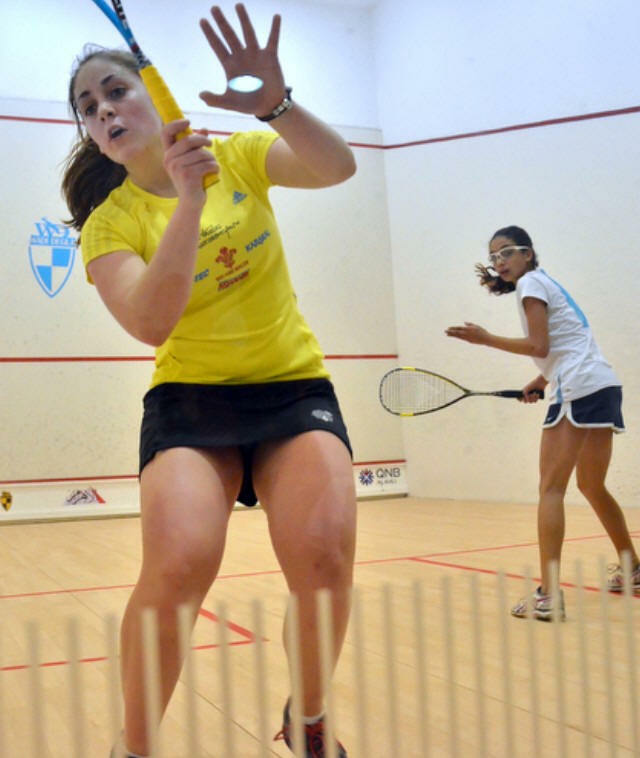 Mariam got a 10/5 match ball lead that could have been comfortable, but as she seemed a bit tired, going for much too short too early, Milou gradually grinded the advance. A tie break, everything is still possible, but Mariam, realising that she has got to go back to basics, just hits harder, straighter and deeper. It worked. 13/11 in the 3rd. For Misaki, it was a pretty straight forward story, like for Heba. Both playing juniors, they managed to impose their maturity on the youngest. The fun started with Nadine Shahin and Farah Abdel Meguid. A match I truly didn’t enjoy watching. I was cringing times and times, as in my opinion, Nadine didn’t make much effort to go round her opponent, kept wanting to get through her, getting numerous no lets, and basically discussing every decision taken – quite spot on – with the refs up there. You add to that a very intense young lady, fist pumping every other rally, plus the normal Yallah, compared to a very calm Farah that just kept on going, win or lose, and you have a pretty good idea of the atmosphere out here. 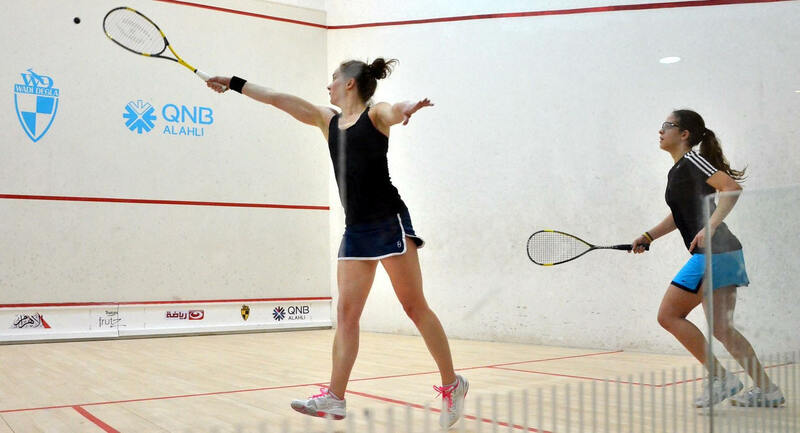 It’s a shame that Nadine doesn’t make the effort to go round, because when she does, as she did in the 5th, she gets nicely to the ball, has got plenty of time of the ball, and finds some exquisite shots at the front. And she is extremely fit, and moves pretty fast. Today, she proved that she’s got the mental strength, the fitness and the shots to come back from 2 games down, and impose her game on a player that has got a lot of talent and experience. . 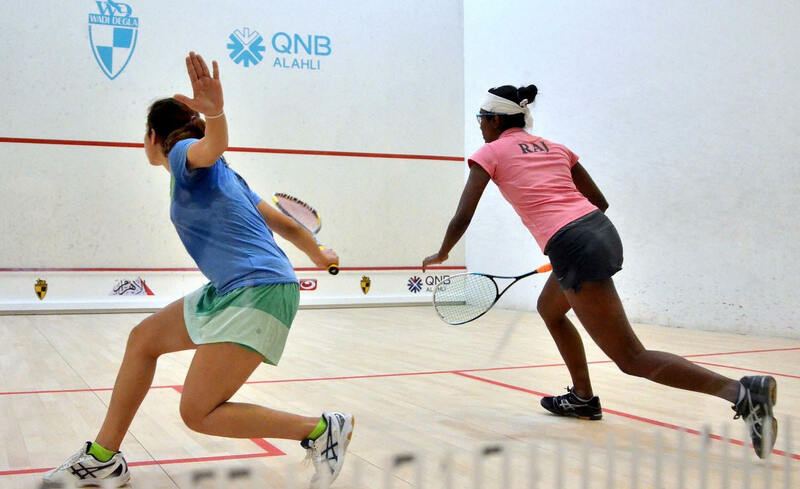 I just hope for herself and the squash in general she’ll improve on her moving to the ball approach and attitude to the Officials. I was sooo nervous, it’s always hard to play the first match, the pressure is huge, and you can never take an Egyptian junior for granted. 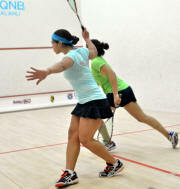 But I feel that once we got in the third, I managed to play at a pace she struggled with. 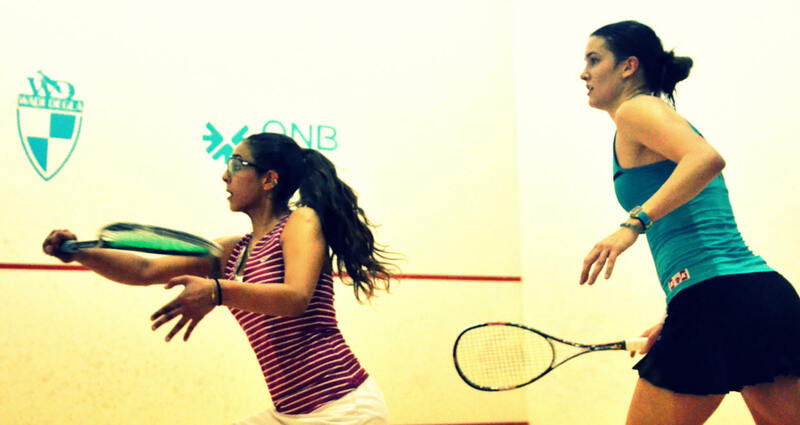 Now as for the other Nadine I’m playing tomorrow, I played her recently in a tournament, and she beat Omneya, and I managed to win 3/2 in a tough match. First of all, happy to win 3/0. 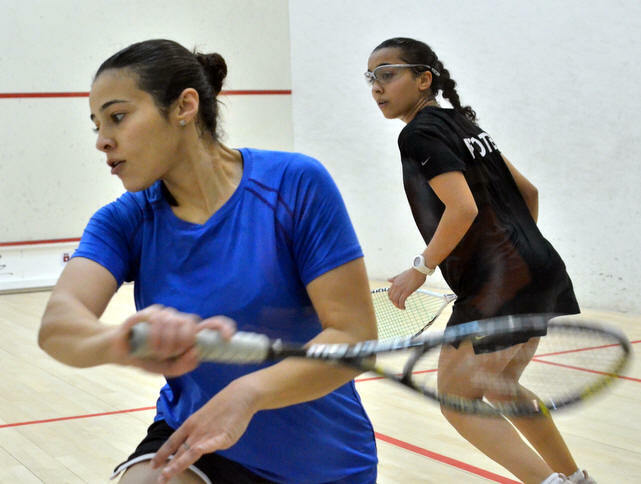 Always a big pressure to play an Egyptian player in Egypt, especially as I didn’t know her at all. I had a chat with a few players that told me that I had to really try and make her move around the court, and twist and turn her as much as I could. So I tried to play the ball as soon as I could, attacked a lot. In the third, I lost a bit of focus as although she is a very nice girl, she was asking for lets a bit aggressively at times, and it took a lot out of me at the end. So I lost accuracy, width and length for a while, but I was happy as I didn’t get too excited, came back in the match in the end. There was a big stoppage for a blood injury at 9/4 in the first game, and it could break a rhythm, but hopefully, it didn’t break mine.. In the third, she picked up her game, and I started to play loose shots and made three unforced errors trying to volley, that brought her back in the game. But after that, I was able to gain control again…. It was not a physically hard match at all. It was like a bit of a tennis match. She’s got a great serve, so, as soon as you would play a bad return, she would volley it in the nick! If she played a winner, that was point for her, if she was finding the tin, I would win it! No rallies as all, very hard to get the rallies going… A bit of an awkward game! Still, she is a very nice player, very fair and honest, when she got a ball down, she would call it before the ref, and that it’s GREAT to find in a player. Emily tomorrow, that will be more of a physical game than a shot game. We always have great battles, so I’m looking forward to our next one! Now, rest, and a good sleep! 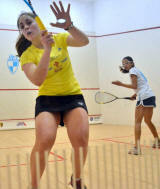 A very nice and fair match between English Emily Whitlock and Menna Hamed I didn’t manage to see yesterday. I was truly impressed by this young girl. Patient, accurate, it took Emily’s A game to shake the young Egyptian off especially in the second as she hang in there, coming as close at 7/8 before Emily’s experience paid off. So far, she is a one that truly impressed me by her maturity. 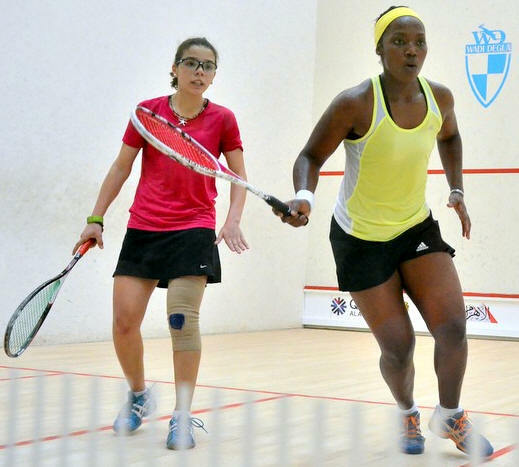 I have never ever met her before, never saw her play even in junior tournaments, and didn’t know what to expect. Her backhand from the back corner I just didn’t know what to expect, if she was going to hit a long drop shot or smack it cross court! So I just kept guessing and stayed focused as much as I could. I feel the court got colder today, yesterday it was 20°, today much colder, and I didn’t expect that! I kept playing with the heating on at home!!! This encounter was so good, that even Cubs stopped and watched it. Just watched it. That tells you how good it was. A superb match, fluid, about 2 decision per game – and they are both tall ladies, there could have been traffic problem, but absolutely not! The backhand wall was the key today. Both the girls played shots that basically probably damaged the side wall, so close, so tight. Accurate, both waiting for the right opportunity, so fair movement, such superb squash, what a credit to our game that was. Fifth game was a classic. Roaring start for Hania, 2/0. Sam, having none of that, comes back 2/2, but within seconds, Hania is up 7/3. That’s it we think. But Sam is a fighter, she finds some great pace out of nowhere, and twists and turns the young 14 years old (not 16 like I wrote in her quote yesterday), scoring 7 points in a row, 9/7 Sam. Surely, that’s it now, the young Egyptian has been running on fumes since the end of the 4th. But no. 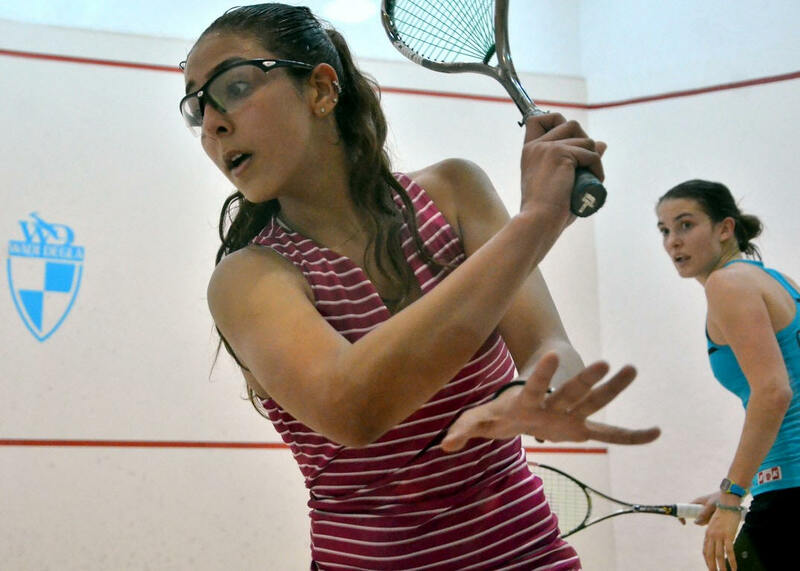 Ridiculous rallies, a floating on cloud Egyptan, and a tin, and a superb backhand winner later, we have a big upset, as Hania, 14, WR254, ousts Sam, 23, WR31…. I’m so happy with my win. I was down 2/0, then managed to come back at 2/2, but I was sooo tired, I thought I was going to lose. But I pushed and pushed and pushed, and I won. 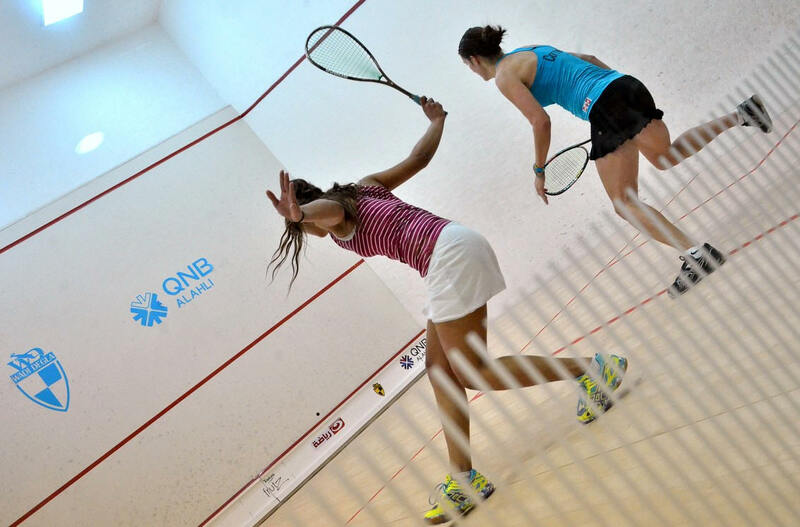 She is such a great player, I so much enjoyed playing against her…. I think her game plan was trying to slow down the pace, while mine was trying to pick up the pace! It’s the first time I play her, although I went three times to Malaysia, but for some reason, I never played her. She’s got a great boast! If the first game, she was leading 6/2, but then my coach Amr Mansi told me to be more aggressive, and force the unforced errors out of her. It helped me for the rest of the match too. 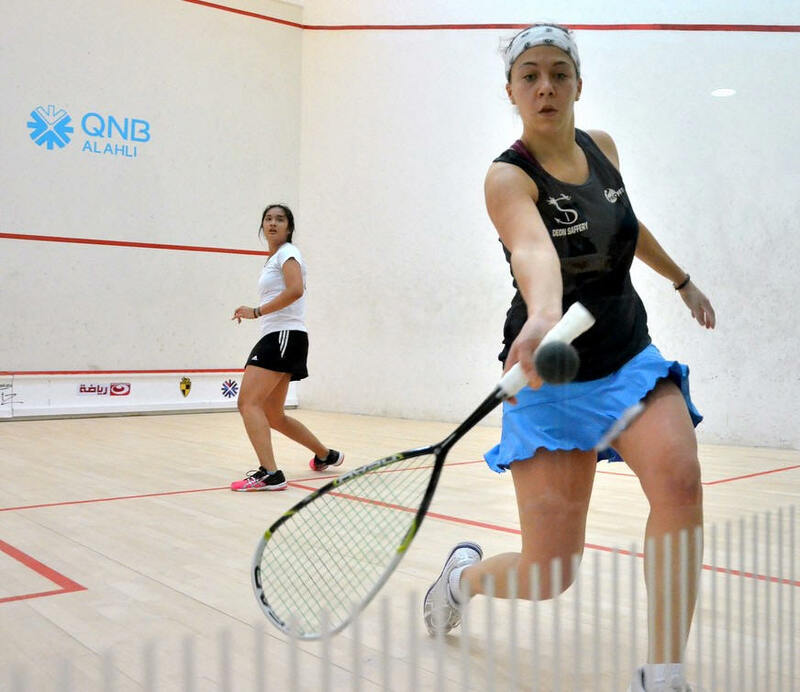 Tomorrow, looking forward to playing Hania, she has had some great results lately beating Salma Hany 3/2 and Mariam Metwally 3/2 as well. And this match today, great match against Sam. So, let’s see what will happen tomorrow…. It was a very nice match, very close in the first two games up to 8/8, where I seemed to be able to use my experience, I have LOADS of experience. 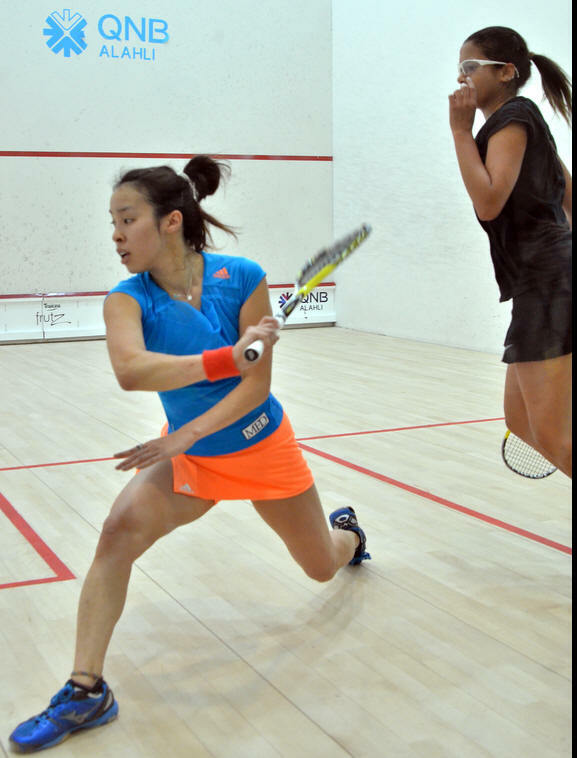 And that’s what it just came down in the end, those last three points where I was a bit more solid than Hana. In the third, once I had those two in the Bank, it became more comfortable. She is good, she is so good.. she is what, 12!!!??? What, 14??? I never want to play her again, she is too good!!!!! I managed to take a bit of pace off my length, and kept it tight, so she gave me a few volleys to hit. And my length got better and better, it wasn’t sitting up, it was clinging nicely to the wall, and I could get a few loose shots to hit. I was a battle until the end, but the more points I could get ahead in the game gave me more confidence. I felt I was a bit too reactive in the first two games, instead of creating my own game.